Valhalla, N.Y., April 1, 2013 – Today FUJIFILM North America Corporation announced that it will implement price increases for film and One-Time-Use cameras in the U.S., effective July 1, 2013. 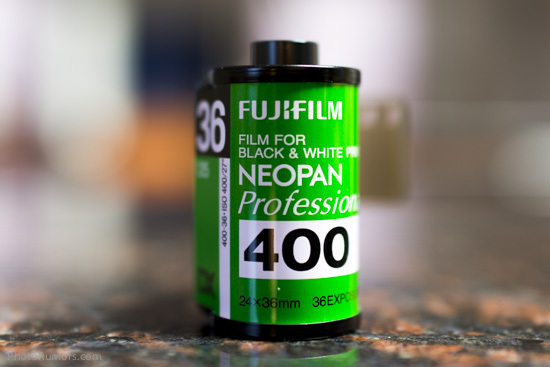 Prices for consumer and professional photographic film, including black and white, color negative, color reversal films, as well as consumer One-Time-Use cameras (OTUC) will increase by approximately 20%. The price increases are a result of the continuing decline in demand for film products, the high costs of production, and the increased expenses associated with raw materials, including silver and petro-chemicals, and energy. Under such circumstances, and despite efforts to maintain production costs, Fujifilm is unable to absorb these costs entirely and must implement price increases at this time. Check B&H and Adorama for their current Fuji film offering. This entry was posted in Fuji and tagged Fuji photographic film price increase, price increase. Bookmark the permalink. Trackbacks are closed, but you can post a comment.